One of the most effective means of relieving leg and back pain is through the careful application of spinal decompression therapy. At Chiropractic Centers of Ocala, Dr. Chris M. Pell, DC, offers spinal decompression therapy services to patients throughout Ocala, FL and the surrounding region. There are two forms of spinal decompression. The first uses surgical techniques such as microdiscectomy and laminectomy. These procedures are invasive and can even be dangerous, utilizing not only surgery but drugs and chemicals to fix problems with the body. Nonsurgical spinal decompression practiced by chiropractors eschews invasive surgery and chemicals and focuses on manipulation and adjustment of the spine to stretch the patient’s back on a specialized traction table. The process is safe, scientifically sound, and does not subject the patient to drugs and other dangerous surgical processes. What Is the Goal of Decompression Therapy? The end goal of decompression therapy is in line with all aspects of chiropractic: to alleviate pain, restore motion, and promote the body’s natural healing functions. For patients with ailments like herniated discs, elongating the spine reduces the pressure that caused the disc to bulge, thus allowing it to move back into place. This reduced pressure can also create the opportunity for the body to infuse natural healing nutrients into the back that will help promote permanent healing. Chiropractors are medical doctors with a range of training in the science of chiropractic care. All of the services they provide, including spinal decompression, have a basis in science. Spinal decompression as a fundamental theory is widely accepted to be valid by the medical community in general. The risks are minimal and far less than those of expensive invasive surgery and the process promotes healing in a completely natural way. 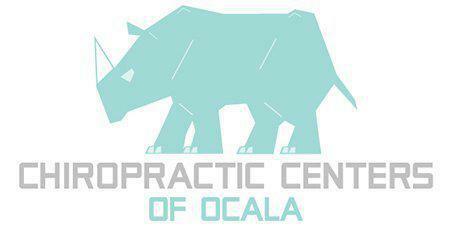 Chiropractic Centers of Ocala, under the guidance of Dr. Chris M. Pell, DC, has been providing effective spinal manipulation and chiropractic surgeries for patients throughout Ocala and the surrounding regions of Florida. Dr. Chris M. Pell, DC’s goal and mission are to provide safe, non-surgical, and natural healing and relief for a variety of spinal and soft tissue injuries and conditions.